Firstly my congratulations to Australia, Yorkshire, Bath CC and, of course, Sussex for carrying away the silverware (or its equivalent) this northern summer. which, I am fully aware, leaves the vast majority of women and girls' matches out of the reckoning. It thus becomes a kind of highlights package of my year and could well (and probably would!) differ from yours, although I hope some of my choices may resonate. Anya Shrubsole : England's opening bowling pair are undoubtedly the best in the world, and that makes it more difficult for me to pick one player over the other. 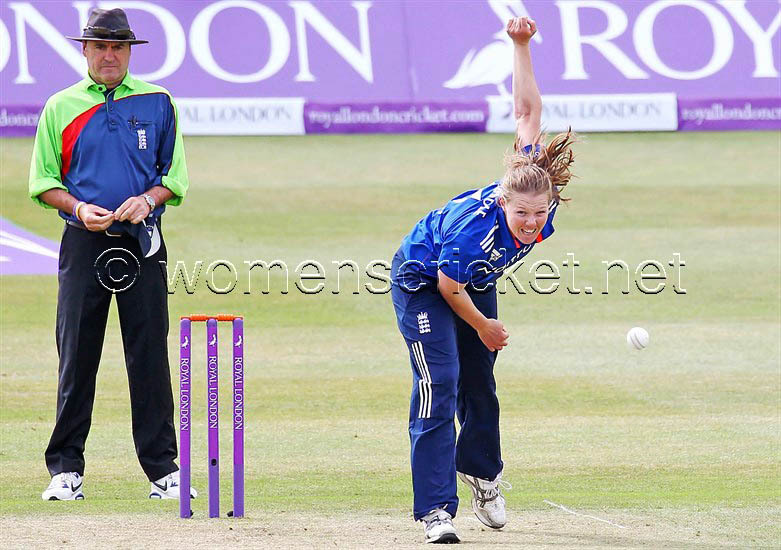 For quite a while we (the England supporters) had to wait for the sight of Katherine Brunt and Anya Shrubsole operating together. It has always been a contention of mine that in the men's game great fast bowlers usually come in pairs. There are names you simply can't think of without thinking of the double act of which they were a part; Trueman and Statham, Larwood and Voce, Lindwall and Miller, Hall and Griffiths, Tate and Gilligan (a fine Sussex and England pairing) - I think you get the idea. Here, in the women's game we have the equivalent and in years to come, long after they've retired, will it be Brunt and Shrubsole that are talked about in the same breath? I wouldn't be surprised. 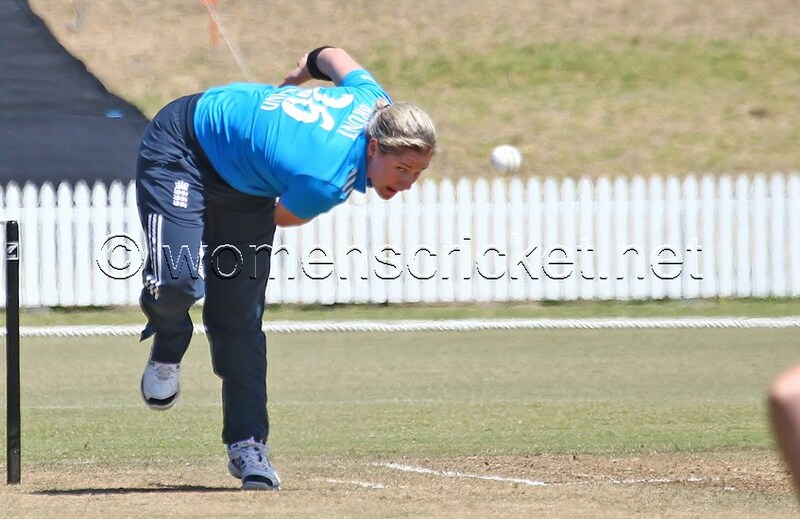 During the course of the New Zealand trip Women's Cricket Blog set a number of bloggers the task of choosing our England T20 team including the batting order. I suggested Anya Shrubsole to open. This caused all sorts of reactions from incredulity to, well. derision. Anyway I'm sticking to my guns. Very aggressive with the bat and also inventive (as the picture below shows) I feel a T20 innings needs a sharp start and in my mind who better! Opening the bowling and the batting? I believe it's not only Australia who has a player with that potential. 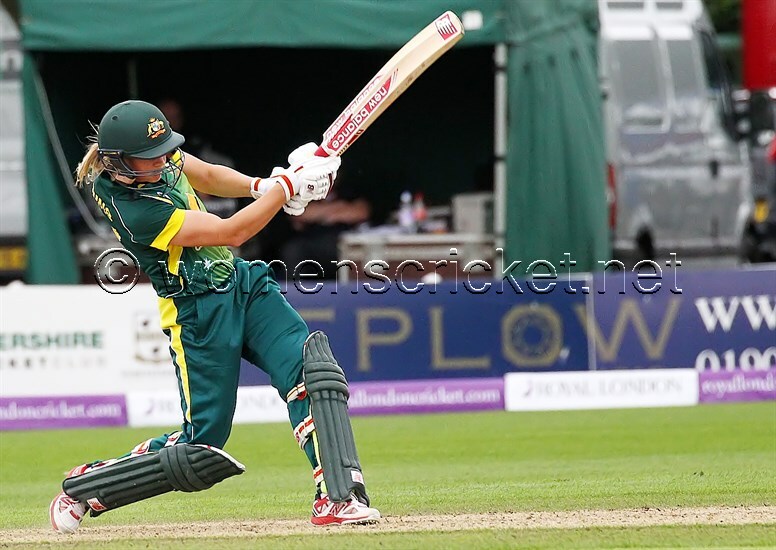 Ball of the summer; Anya to Meg Lanning in the final T20 at Cardiff, a ball that comprehensively beat the world's finest batsman and would have taken any player's off stump. Amy Jones and Sophie Luff : It's probably unusual to consider that the two finest knocks that I have seen this summer in the plethora of international and county cricket both occurred in non-international and non-county matches, although one against, some might say - probably Australians - the world's best bowling attack. 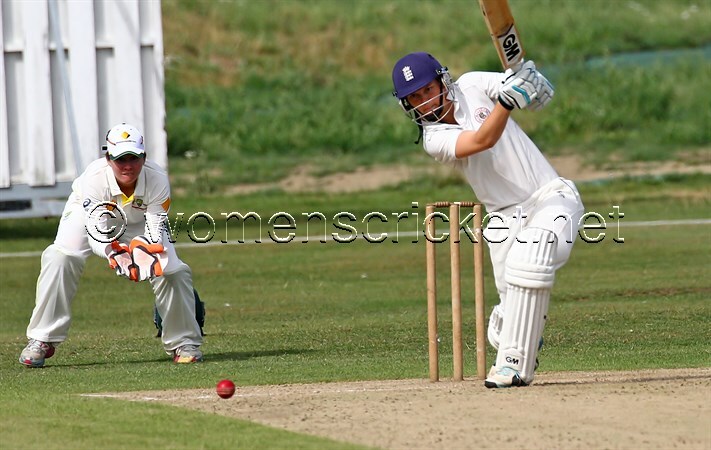 I already don't need to tell you which two innings I am referring to as I have written on this blog before with how impressed I was with Amy Jones and her knock at Beckenham against Australia and Sophie Luff's two innings for Bath CC. If you consult the scorecard of the Australia warm-up game you will see that during her 155* Amy faced only Australia's usual bowlers. Not only did they not bowl any non-regulars, but the normal line-up had the chance to trot off the pitch, put their feet up, and come back and bowl at Amy again duly refreshed! This is not a luxury the Aussie bowlers had in the Test Match. I can only reiterate what I have said before - that this was the most mature innings I have seen from any player in several years against absolutely top opposition. If there is one player (and I would argue there's more than one) that deserves a run of matches in an England shirt to show what she can do, then it's Amy Jones. 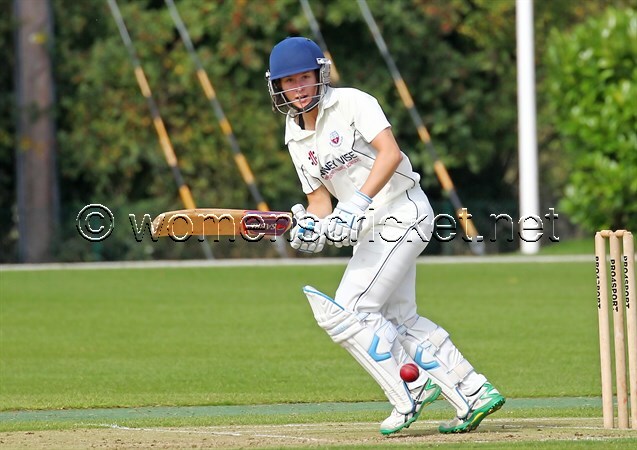 While, as some of my critics have pointed out to me, Sophie Luff made her 152 against a rather weaker bowling attack, I had seen her a short while before plunder a different bowling attack on her home ground making another century for Bath CC in the Club Championship. 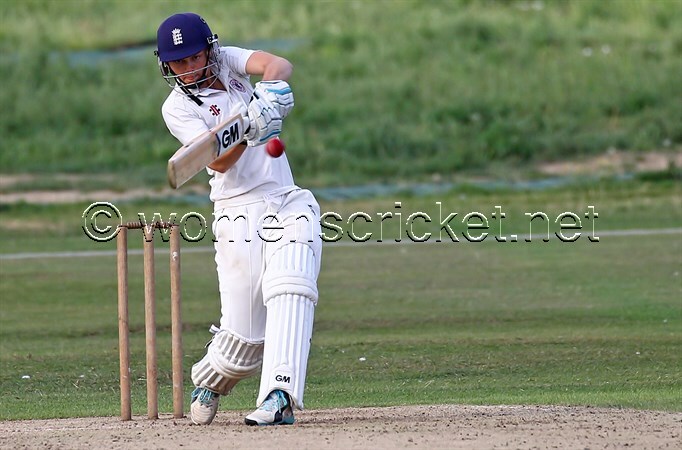 I include her here on the strength of both of those knocks and also because I have to admire a player who is so alive to the situation while in the field and her handling as skipper of Somerset and the England Academy which makes her a very complete player indeed. Having commended Sophie Luff in this category, I nonetheless have to give this 'award' to the world's number one bat, Meg Lanning, for making the best of what is anyway a fine Australian squad. 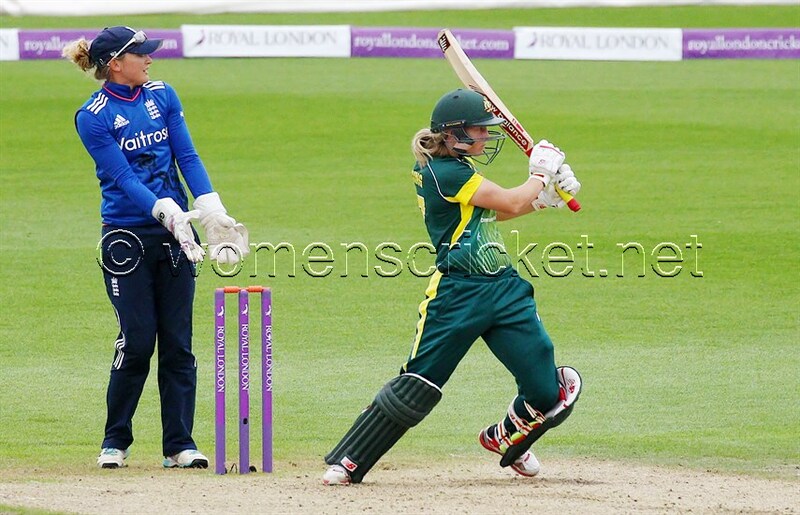 She may be the youngest captain Australia has ever had (or so I read somewhere) but she is far from being the weakest. Being a captain is not an easy job but she gives every impression of falling naturally into this slot. Australia are fortunate in never having to even ask the question "Who should be skipper?" It seems to me like a "duck to water" situation. 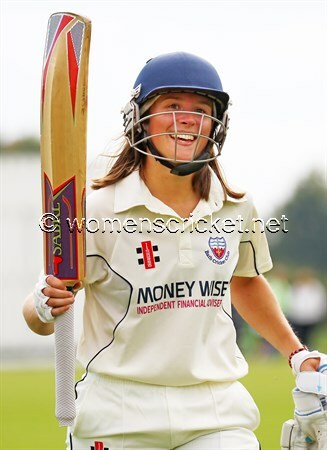 Sophie Luff was certainly the most alert skipper in the domestic game I have seen this summer and the care and attention she paid to not just getting the field right but getting the right fielder in the right place was spot on the money. Oddly, this occurred in only the second match of the season I was able to photograph. 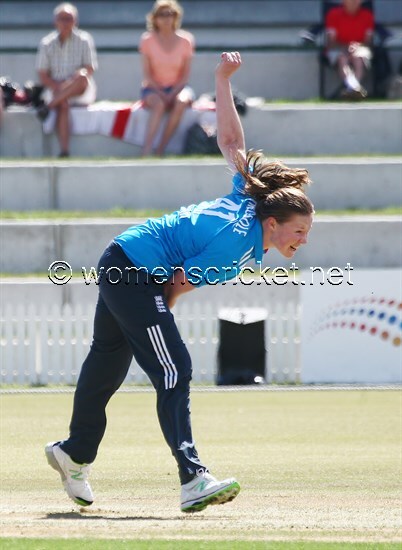 Lucy Uncles (Horsham) launched herself full length (and more) to take a catch of a ball that looked four all the way. It had actually passed her by the time she laid a hand on it. It is almost impossible to capture the moment of a catch like this. The ball is moving like a rocket and your camera is probably pointed at the batsman or bowler. By the time you've adjusted it's all over. 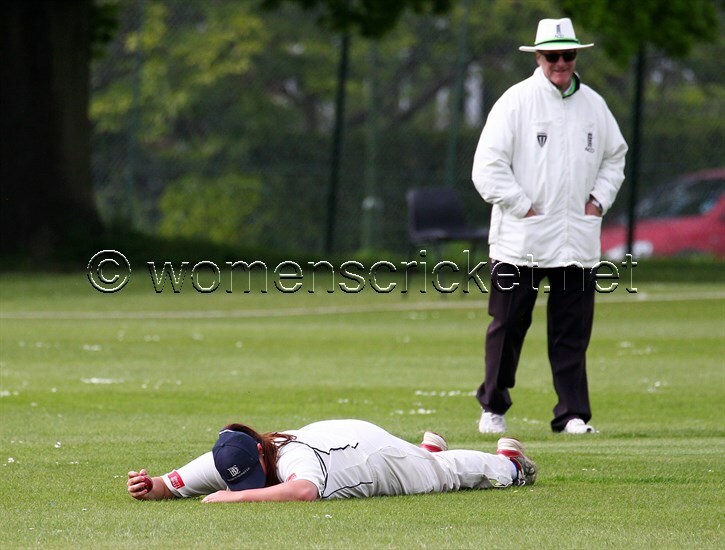 However, this picture of the aftermath may give you an idea of just how special this catch was. And who could that possibly be except these girls? And that's not just this year but every year! 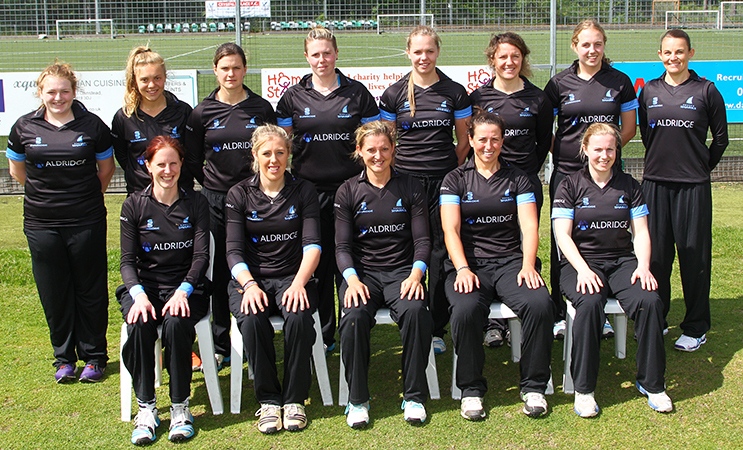 They'll be quite a few changes next year with the departure of Holly Colvin to Dubai after taking up a post with the ICC, and with the longest standing player in Sussex's history, Alexia Walker, retiring. Will Erin be returning? Will there be a different overseas player, or, indeed, an overseas player at all? And who from the age-group sides will get the call-up to the seniors? Many questions remain to be answered as Sussex enters 2016. It would be wrong of me to mention only the seniors. I have spent many enjoyable hours on the boundary at Sussex Age-Group games, and expect to in 2016, for while those players are the future of Sussex cricket, and for that matter England cricket, their matches are worthwhile spectacles in their own right and deserve eyes and cameras on the boundary rope. As soon as those fixtures are available they'll be in my diary. ... and my thanks to everyone I have watched play during this last twelve months!